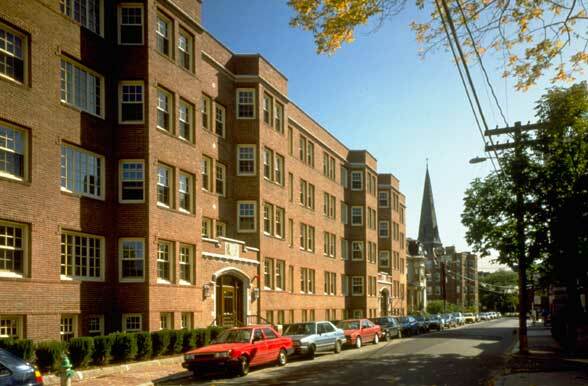 This 25,000 SF four-story building was purchased by Harvard in the early 1950s and converted from apartment units to housing for 90 students. 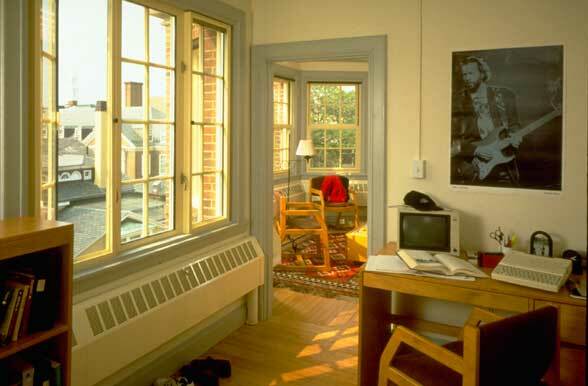 Forty years of dormitory use, conversion to coed occupancy, and the need to provide accessibility to the physically challenged prompted this renovation. 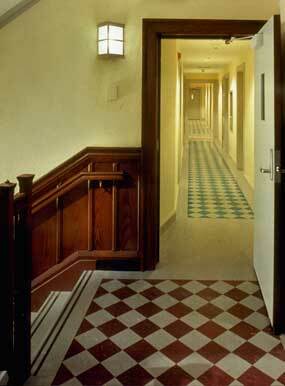 Detailing and lighting were designed to emphasize groups of rooms as clusters and to de-emphasize corridor linearity. Natural wood paneling was refurbished and extended in stairways, and the period doors and trim reproduced to retain the original 1920s feel. Historic preservation guidelines were followed for the exterior rehabilitation. Window type, muntin design, and sight lines were chosen to match those existing.